Uncategories DMS - Petroleum Conservation Research Association Saksham National Competitions 2018 - Matriculation Director Proceeding! 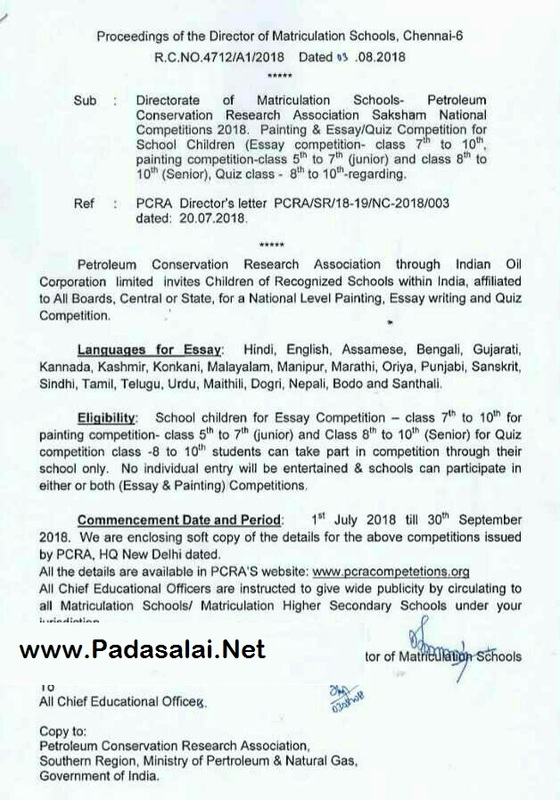 Research Association Saksham National-Competitions ,2018. _Painting & EssayQuiz Competition for School Children (Essay competition class 7th to 10 th painting competition-class 5th to 7th (junior) and class 8 to10 (Senior),Quiz class - 8th to 10th-regarding.